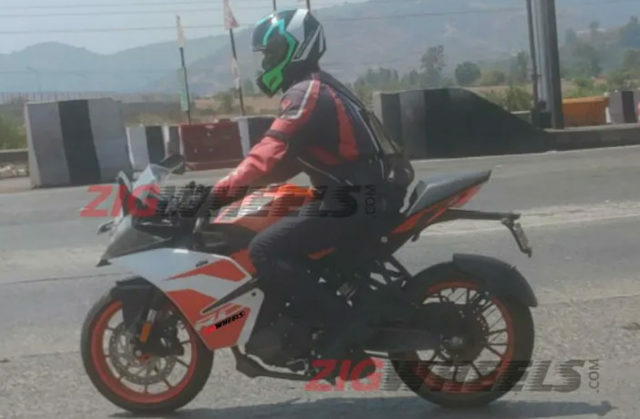 KTM RC 125 has been spotted in India for the first time and the motorcycle is already on sale in the European market. The Austrian manufacturer introduced the Duke 125 last year and the entry-level model is the best selling bike of the brand in the Indian market as the lower pricing along with performance and sporty design theme is the reason for success. The RC 125 could follow the same path as Duke 125 and most of the parts will be shared with the RC 200. The RC series is yet to get a major change in design as the new model is expected to be introduced later this year at the EICMA. The front gets dual projector headlamps and the fairing design is similar to the RC 200. 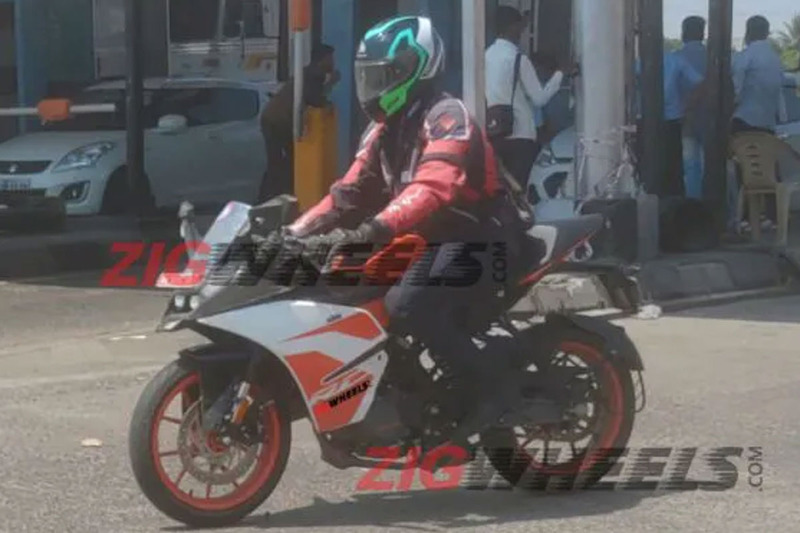 The performance bike comes with split seats and the pillion seat is positioned higher while the rear get LED tail lamp along with a tyre hugger. The riding position is aggressive like most of the other RC models as the company has given clip-on handlebar and the foot pegs are rear-set. The mirrors’ design is similar to other RC models. The test mule spotted was finished in white and orange colour. This same colour is already available in RC200 but the RC125 fuel tank gets orange colour instead of the black on the RC200. KTM is also offering black colour on the RC200 and it will likely be available in the entry-level model also. The engine is expected to be carried over from its naked sibling. The 124.7 cc liquid cooled single-cylinder engine puts out 14.3 bhp of power at 9,250 rpm and 12 Nm at 8,000 rpm. This engine is mated to a 6-speed gearbox and we can expect the performance to be similar as the Duke 200. The fully faired model might have slightly higher top-speed and it gets trellis, so handling will be excellent. The braking duties are carried over by disc brakes at both ends with single channel ABS system and rear-wheel lift control. The company has given upside down forks at the front and mono-suspension at the rear. One of the changes in the India-spec model is the underbelly exhaust as the European model gets the side-mounted exhaust. KTM RC 125 will compete against the Yamaha YZF-R15 Version 3.0.